We all know that technology keeps on advancing. Device likes phones and iPods continue to demonstrate the amount of both useful and entirely pointless software that can be crammed onto modern technology. Nintendo’s consoles are no different either – the DS, 3DS and Wii. The DSi has cameras, image and audio editing software, and a wealth of DSi Ware for download. The Wii has similar things with the photo channel and Wii Ware available at the shop. It is all great for a bit of fun here and there, but with modern technology, wouldn’t it be great if consoles incorporated new features that were actually useful to gamers. Things that the consoles definitely could handle. Things like a screenshot button? Just imagine it. Instead of gamers being driven to either questionable means of screen capture or low quality methods for those people that literally must just take pictures of the screen using a camera. Why not incorporate this function? Some sort of button or option to take screenshots in game? They could then be saved to an SD card and BAM, the dirt is gone you have screenshots for your use. Put them on your computer, upload them, share them – just like Nintendo wants. They could even implement some sort of channel for sharing them. 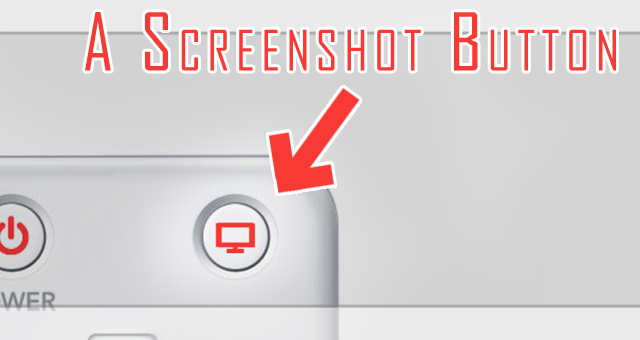 Let’s not simply stop there at screenshots though when there’s so much more potential – such as videos. Imagine an in-game option to record your own gameplay footage. Watch them in the game’s gallery, or again, put them on your SD card, share them, enjoy them. Great ideas, but we can see why Nintendo hasn’t jumped upon the concept. They don’t want to allow videos and images of their games to be freely spread by their own means, which is in many ways quite irrational. Both the videos and screenshots could be watermarked, thus accrediting them to the consoles own capture. And in the end, don’t Nintendo want their games to be advertised and shared? Don’t they want them to be discussed? People will get their videos and screenshots from somewhere, just like we have to here at Zelda Informer. But instead of driving people to illegal downloads of the games and other means, why not provide us with your own methods Nintendo? Make gaming journalist’s jobs easier, and provide a new way for gamers to create and share. Seen as that option is extremely unlikely, what about some simple features that make games more accessible and navigatable. They could make text dumps accessible on the consoles for us to get all of our favorite lines, instead of driving us to online rips. Perhaps Nintendo thinks we should just enjoy the games as they are, but if we get enjoyment out of these things, why not make them available to us? At the very least some features that we’ve seen rarely in the past could be made standard practice. Ironically these features seemed to be a Rareware feature. Conker’s Bad Fur Day had chapter selection where you could quickly jump to replay your favorite section again. Or there’s Banjo Tooie with its cutscene library, replayable bosses, and mini-game selection. Monster Hunter Tri did fantastic in providing a cutscene library and allowing for levels to be replayed at will. If you’re not going to provide methods of capture Nintendo, why not at least make games more navigatable and accessible? Not only does it help us more analytical people, but also gamers that also just want to relive that certain moment without having to play through to get there. Gaming is about personal experience, as Nintendo believes, so why not increase the potential for players to customize their experience and get exactly what they want out of their gameplay? Sounds fair enough to me.